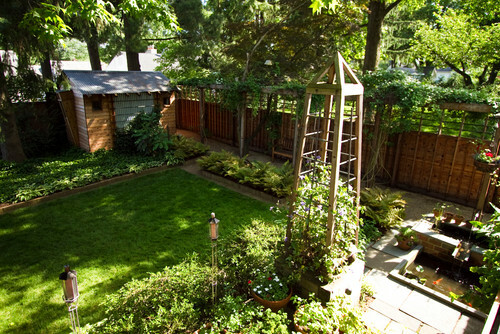 Being an experimental gardener, I love experimenting with different design ideas. 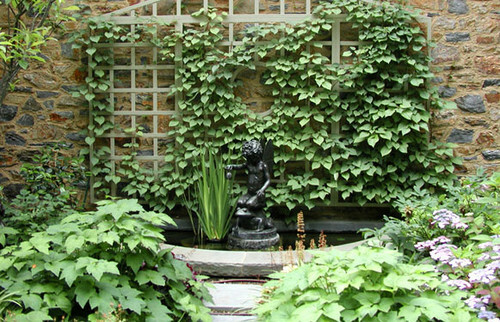 And one of my favorite design elements in a garden landscape is a trellis. 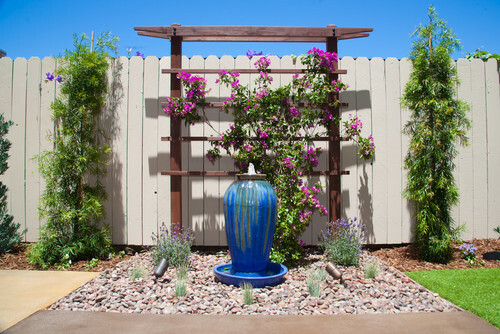 A trellis is a nice design element not only to support your vines or climbing plants but also to add some architectural element to your garden. 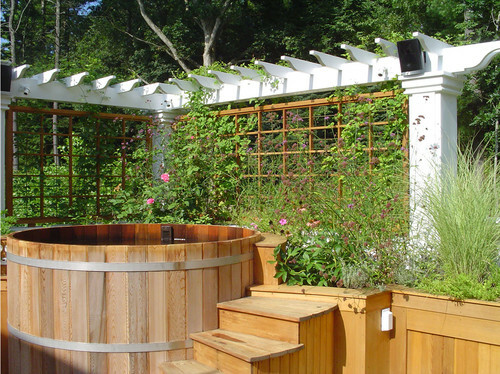 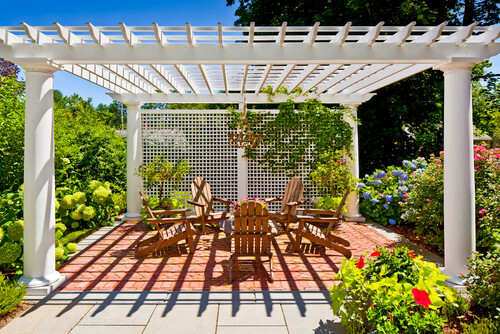 Usually made of wood or metal, a trellis can also be installed to create private space in your backyard or make structured garden borders. 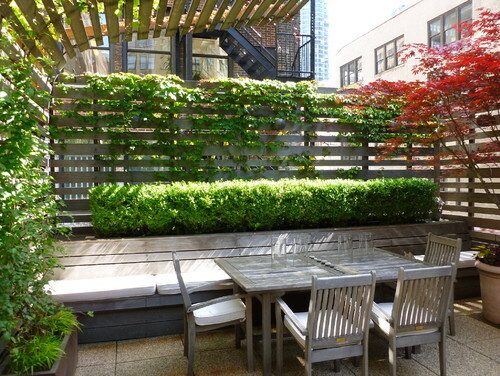 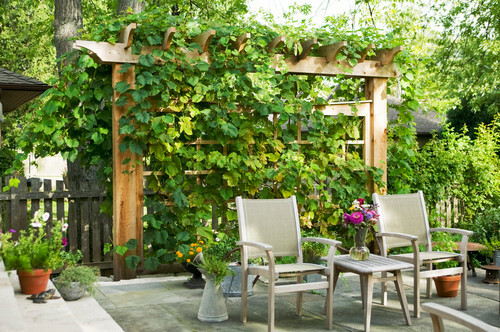 Below are 9 simple and modern trellis designs that you can use in your own garden. 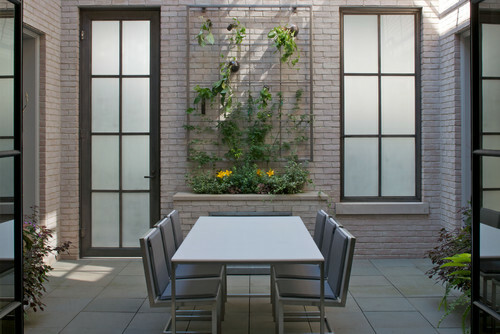 Traditional Patio by Brooklyn Photographers Francis Dzikowski Photography Inc. 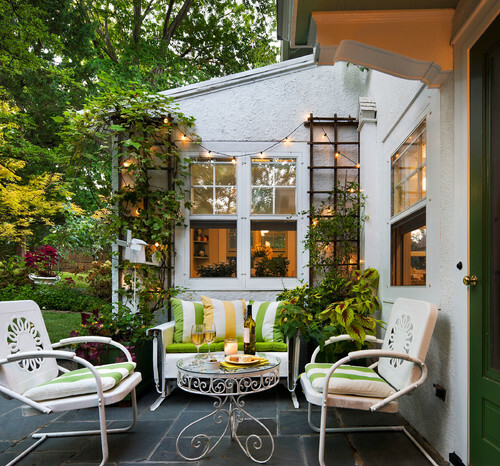 Traditional Landscape by Lexington Architects & Building Designers Colin Smith Architecture Inc.